Here we profile the Clarkson Avenue Microgrid project, as part of a series of occasional articles about NY Prize winners, based on their detailed applications to the New York State Energy and Research Development Authority (NYSERDA). 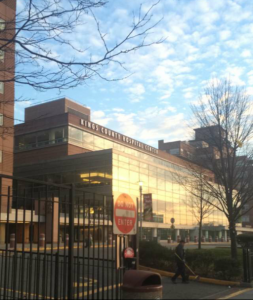 Given the critical nature of their services, hospitals are prime candidates for microgrids. Maintaining a reliable flow of energy can be a matter of life and death. Brooklyn’s Clarkson Avenue is especially well-suited for a microgrid. Medical services abound in a very condensed footprint: three hospitals situated within just 11 city blocks. The facilities — New York State Office of Mental Health (Kingsboro Psychiatric Center), State University of New York (Downstate Medical Center), and Kings County Hospital Center — provide medical and mental health services to close to a million patients annually. Planners envision a $50 million microgrid (before rebates and incentives) for Clarkson Avenue that will use combined heat and power, renewables, fuel cells, energy storage, and advanced transmission and distribution technologies. The project would supply power and possible heating to the hospitals and may also include Kingsbrook Jewish Medical Center and the George Wingate High School. As is the case with many contemporary North American microgrids, this one would serve a dual purpose. During power outages, it would island from the grid and provide electricity for critical medical services. And during normal operations, it would remain connected to the grid and act as a resource to strengthen New York’s broader power system. When the grid goes down, the Clarkson Avenue medical facilities would be able to continue serving patients. The facilities also could act as a refuge for those seeking shelter. Brooklyn, and the whole of New York City, is vulnerable to hurricanes, tornadoes, flooding, and blizzards. The microgrid application singles out the Kingsboro Psychiatric Center, in particular, as an evacuation center. When the grid is operating normally, the Clarkson Avenue Microgrid would benefit the broader public on a day-to-day basis. The electric load in the area substation is often beyond its capacity throughout the June-September peak load season. By lowering demand by 8 MW, the proposed microgrid would relieve strain on the substation, and help avoid costly substation expansion and installation of new transmission feeders. According to the Clarkson Avenue microgrid study prepared by Burns Engineering and General Electric, the microgrid power supply would include an existing 6 MW from converted dual fuel generators, 8 MW from fuel cells, and 300 kW from photovoltaics. A Siemens microgrid controller, the system ‘brain’, would intelligently manage the microgrid’s resources and its relationship with the central grid. The control system would monitor the microgrid resources in grid connected mode and control the voltage and frequency in islanded (off-grid) mode. Islanded, the microgrid will keep the power flowing via its fuel cell and dual fuel assets. This might be during a storm or other times when the central grid needs back-up power. The microgrid controller also can help bolster the energy economics for the medical facilities. The controller would be able to make decisions about use of the microgrid’s assets based upon market prices for energy. In addition, the microgrid may generate revenue through participation in demand response and energy and ancillary services markets administered by the New York Independent System Operator. Estimated operating costs, mostly related to fuel, are estimated at $3 million annually. Fixed operation and maintenance costs are estimated at $16,000 per year. Power costs are expected to be fixed for the first 5-7 years. After that, costs would be variable based on the cost of long-term natural gas contracts. 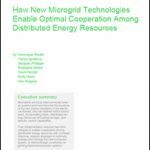 The microgrid would be owned, operated, and financed via a public private-partnership (P3). According to the study, P3 profits will be protected from gas price increases because long-term power purchase or energy service agreements will incorporate energy adjustment and natural gas pass through clauses. The agreement will ensure P3 savings by allowing electric rates to increase via a fixed formula if utility rates increase. This upside for the 3rd party will provide additional revenue and help protect against unforeseen circumstances and costs. Further, the P3 business model reduces project risks and protects profitability. Available tax credits and accelerated depreciation on certain assets lower the total amount of capital that has to be recovered. Without a private firm’s involvement, the value of those tax related benefits would be lost, according to the study. Partners listed in the application for the Clarkson Avenue Microgrid are: Burns Engineering, Customized Energy Solutions, Siemens, the New York Power Authority, Luthin Associates, Matrix New World Engineering, Michael Barnas PLLC, and Consolidated Edison. Track the progress of the Clarkson Avenue Microgrid and other microgrid projects by subscribing to the free Microgrid Knowledge newsletter.